Tools of the trade in survival mechanics are incredibly important, but is a multi-part digital series devoted toward a weapon of destruction must-watch material? Apparently, the filmmakers of AMC’s The Walking Dead think so. 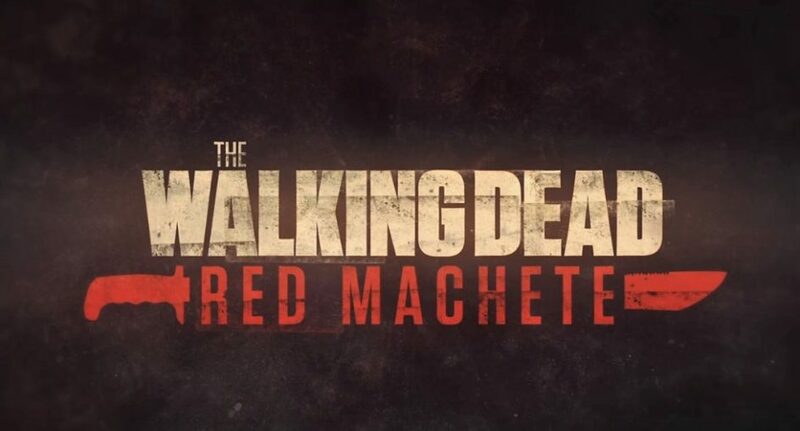 Here’s our commentary about the first three webisodes of The Walking Dead: Red Machete. Beginning at Gerald’s Hardware, this red machete emerged as the weapon of choice for an unnamed character at some point in time, in some city. There’s very little dialogue spoken within the first volume, which lasts a little more than seven minutes. Initially broken up as quick commercial bumpers, Volume I includes the episodes, “Behind Us,” “Sorrowful” and “Made to Suffer.” The storyline is tight and characters’ roles simply seem to be passing the weapon on as a torch, from one person to another, in order to wind up in the hands of a familiar face. The cinematography looks good, the jarring music is nice, but it relies too much on the “unsheathing” sound (primarily used with Michonne’s katana), especially when no such actions are shown on screen. The only spoken dialogue is, “Claimed,” by Joe, of The Claimers (naturally), at its conclusion. Volume 2, it seems, has not yet been released and the audience is dying to find out what happens next (well… not really). Preparing for the Mid Season Premiere, “Honor,” which airs tomorrow night, this digital series really doesn’t do much to expand the mythology of the series, at large. It simply feels like Blu-ray supplemental material to be added onto the Season 8 total package. By the way, when do we get to see webisodes based on Lucille’s origin story? Now, that feels like it would be more relevant to the current season and could somehow get referenced or have a current-day add-on to the flashback storyline. But that scenario seems like it makes just a little too much sense. Let’s keep this throw-away storyline and never build upon it or really reference it, whatsoever. You won’t find any of the current season’s characters in this series. And for newcomers, it feels like it would be just a little confusing, trying to piece together where this weapon is today… and why it’s actually relevant. If you managed to skip the series entirely by fast forwarding through the show’s commercial breaks, you really didn’t miss out on anything much. On the other hand, if you’d like to watch or re-watch the first three webisodes, you can watch Volume 1 on TWD’s official webpage with no login required, for free, but Volume 2 is not currently available. Most likely, it will be shown as Season 8 continues, starting on Sunday, during the commercial breaks (it may be found online after its broadcast). And if the digital series doesn’t receive an official conclusion or explanation why it’s even relevant, AMC really missed its mark in building upon the dead.